It's been just 11 short months since our last government shutdown. That January shutdown lasted only 69 hours, though President Trump tweeted today this one could potentially be much longer. 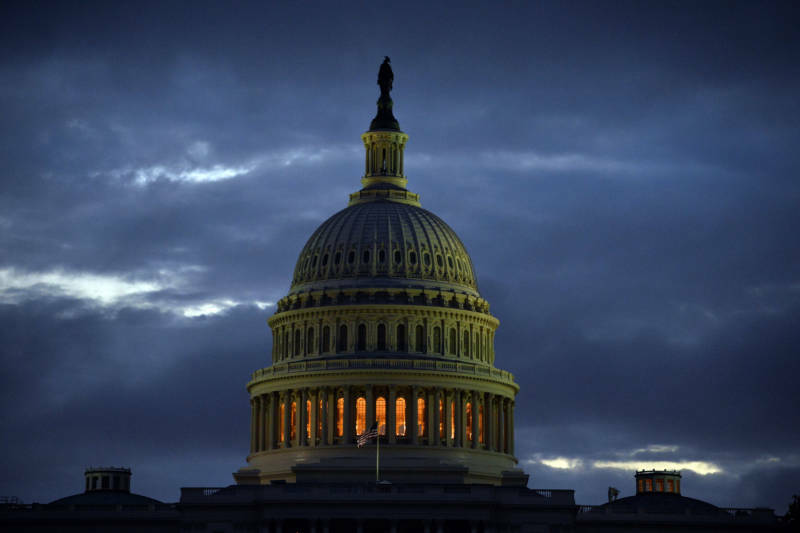 While Congress has until midnight ET on Friday to either pass a number of bills to fund nine federal agencies or a short-term stopgap funding measure, the House of Representatives has already adjourned without an agreement. They will convene again at noon Saturday to attempt to find a deal both acceptable to Trump and capable of passing in the Senate. At the heart of the dispute is whether the spending bill should include $5.7 billion to build a wall on the U.S.-Mexico border. On Friday, as we neared the funding deadline, federal agencies prepared to close nine departments and furlough 380,000 workers, according to The New York Times. Another 420,000 federal employees deemed essential personnel will continue working without pay. Confusion persisted throughout Friday, however, as agencies attempted to determine if they would have enough funding to stay open temporarily. Even officials at the Golden Gate National Recreation Area (GGNRA) said they were "awaiting guidance" and would rely on contingency plans put together back in January. Complicating matters is the fact that Tuesday, Christmas, is a federal holiday and earlier this week Trump declared Monday a federal holiday as well. (Many previous presidents have issued similar orders giving federal employees Christmas Eve off.) What that means for the public is many non-essential federal services were already going to be closed until Wednesday. While the protocol for a partial government shutdown is becoming nearly routine, in case you don't remember how this "usually" goes, here's a breakdown of what will be open and what's, well, shut down. Essential services will continue to operate—without pay. That includes law and drug enforcement officers, TSA during this busy travel time, corrections officers, firefighters and border patrol agents. Additionally, Congress passed five bills earlier this year funding a large portion of the federal government: the departments of Labor, Energy, Defense, Health and Human Services, Education, Veterans Affairs and the legislative branch. Those, then, will stay open. As "mandatory spending" programs, Social Security, Medicaid (in California, the program is Medi-Cal) and Medicare will all continue to pay benefits, too. However, any new applications will be delayed. Post offices will remain open. Tuesday, though, was already a federal holiday and most offices will close early (with some local offices closing completely) on Christmas Eve. The federal district court in San Francisco will also remain open, except on Christmas, though there are no scheduled proceedings, according to a court spokesperson. Jurors should report for duty as instructed. Sorry. Most national parks will experience some closures and cutbacks. With a high volume of visitors expected over the holiday weekend, the parks around the Bay Area—including Muir Woods, Alcatraz and the Marin Headlands—could be heavily impacted. GGNRA officials said they had identified a minimum number of employees to maintain safety and protection of park resources. However, those employees will not provide any visitor services. Expect parking lots, visitor centers and bathrooms to be closed. One exception: the Presidio will stay open, because it doesn't rely on federal funding. Additionally, if you're traveling, expect some national museums and parks to be closed. However, spokespeople for the Smithsonian and the Grand Canyon said they would be able to stay open temporarily. The State Department will be furloughing most of its employees and shutting down non-essential services, like passport services. You will have a hard time renewing a passport or getting a visa right now. Some federal services will already be closed because of the federal holiday and any more complicated needs you might have, like getting a loan approved by the Federal Housing Administration, will have to be put on hold. Non-essential personnel in the departments of Agriculture, Homeland Security, the Interior (which covers the national parks), State, Housing and Urban Development, Transportation, Commerce and Justice will all be furloughed and offices closed. Most notably, that includes large portions of the IRS and inspectors with the Food and Drug Administration and the Environmental Protections Agency.